Japan is one of the best places you could ever travel in the world. However, lots of people are intimated to visit the country at first due to language barriers, navigation concerns, and travel costs. Worry no more since I finally decided to create a comprehensive guide (with free sample itineraries) for traveling Japan in a budget! This post contains everything you need to know to experience the most in a minimal cost ( but comfortable experience). First things first- How to apply for Japan Visa? I created a super detailed Japan Visa Guide for Filipinos, so simply click here. Don’t worry, it should be easy as long as you have complete and legit documents. Yay! Finally reached the top of Nikko,enroute to Kegon falls. Which airport to choose in Japan? There are 2 main airports in Japan. If you want to tour around Tokyo and nearby prefectures, then choose Narita International Airport. If you want to experience the more traditional and old side of Japan, then you should choose Kansai Airport which basically lets you travel around Osaka, Kyoto, and Nara. The 2 main airports are around 4 hours apart via Shinksansen ( bullet train). How long should I stay in Japan? This fully depends with your budget, and travel preferences. If you’d ask me, I can stay until forever in Japan since I love it so much. Kiddin’ aside, if you will stay only in Tokyo and nearby cities, then a 5 day trip in average should be ok. If you will stay in Osaka-Kyoto-Nara area, then 5-6 days should be sufficient as well. 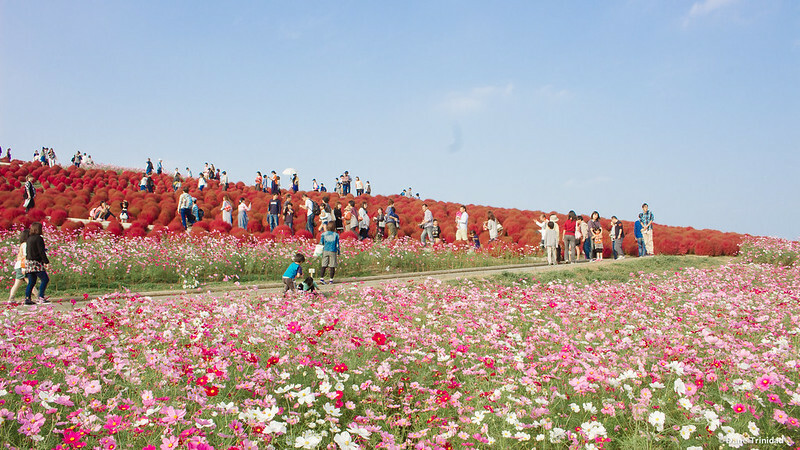 If you want to experience both of the main prefectures, and go to nearby areas as well ( i.e. Nikko, Hiroshima, Kawaguchiko, etc), then you should for a minimum of 10 days. 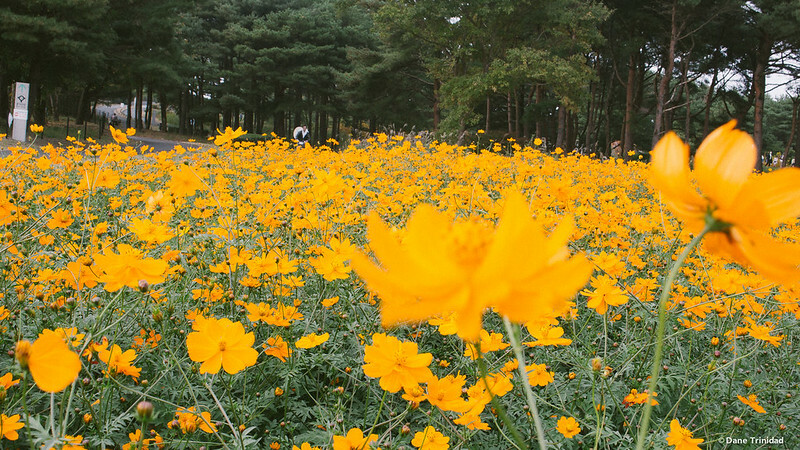 Which prefectures to visit in Japan? Japan is a big country and each prefecture has its own character. Based from my experience ( and future preferences), here are the prefectures that are worth visiting. Tokyo – located in Kanto region, Tokyo is the prefecture with highest population density. You should visit Tokyo and cross the rumored busiest intersection in the world – Shibuya! Tokyo is also a paradise for Anime fans, since Akihabara & Harajuku are both here! This is also a great home base if you’d like to explore and have day trips to nearby prefectures like Yamanashi, Ibaraki, etc. Osaka, Kyoto, Nara – all of these 3 prefectures are in Kansai region and is usually visited all together by tourists due to its proximity to each other. This area is flooded with beautiful temples and blessed with the ambiance of old Japan. Do not forget to pass by Dotonbori in Osaka for the perfect Japan streetfood experience. 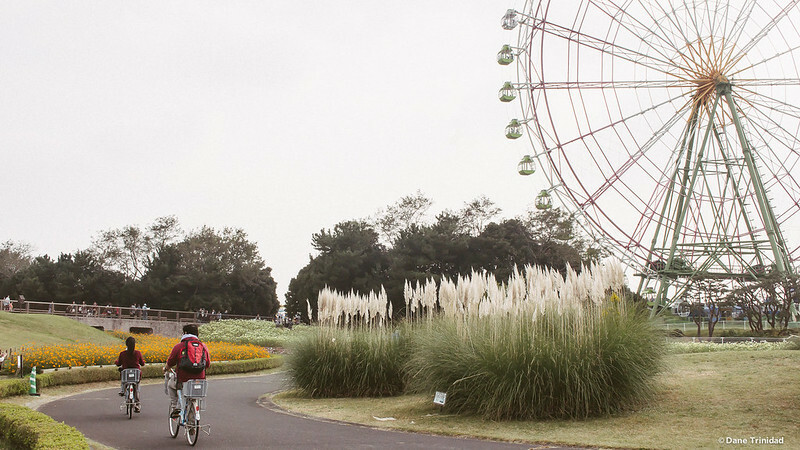 Hokkaido– though I’ve never been here, this prefecture and region at the same time is one of my bucketlist destinations. Aside from being the largest prefecture, Hokkaido is also famous for its annual Snow festival in Sapporo. 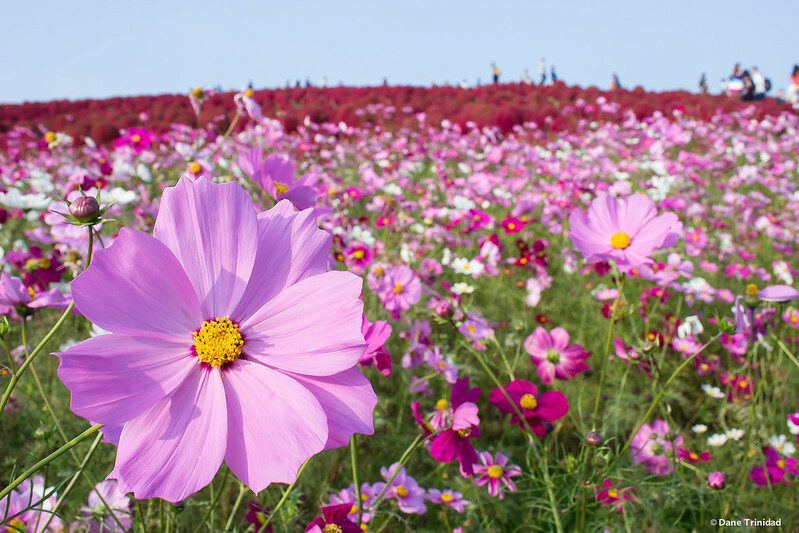 Oh!- please make sure to visit the lovely Furano lavender fields too! 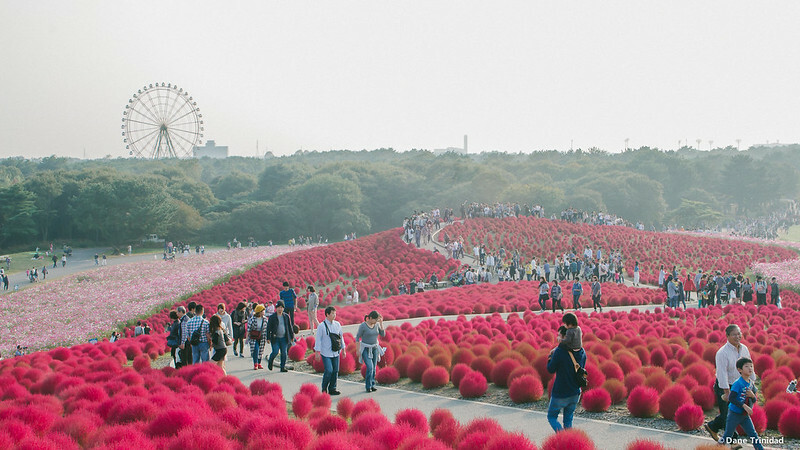 Ibaraki– this might not be one of the big & famous prefectures, but I personally recommend Ibaraki because of Hitachi Seaside Park ( where I had a really surreal Autumn and Spring experience! ). 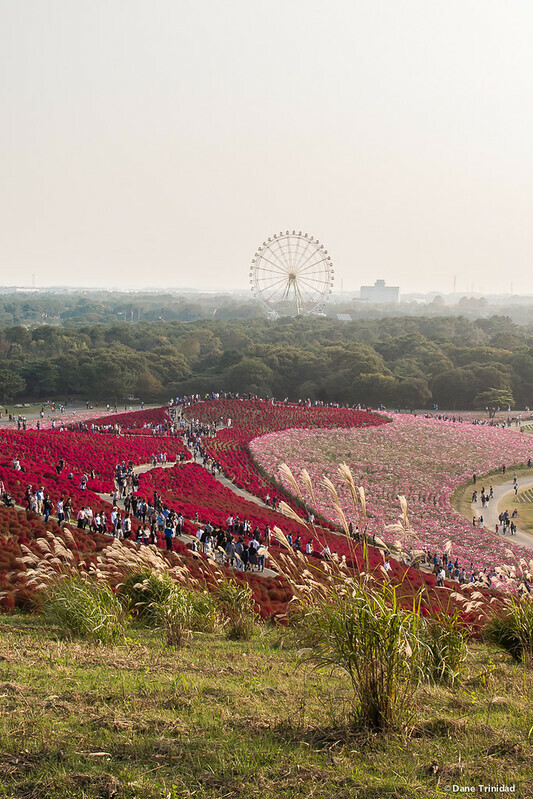 It’s also an easy 3-hr train ride from Tokyo, so it can be a great day trip. 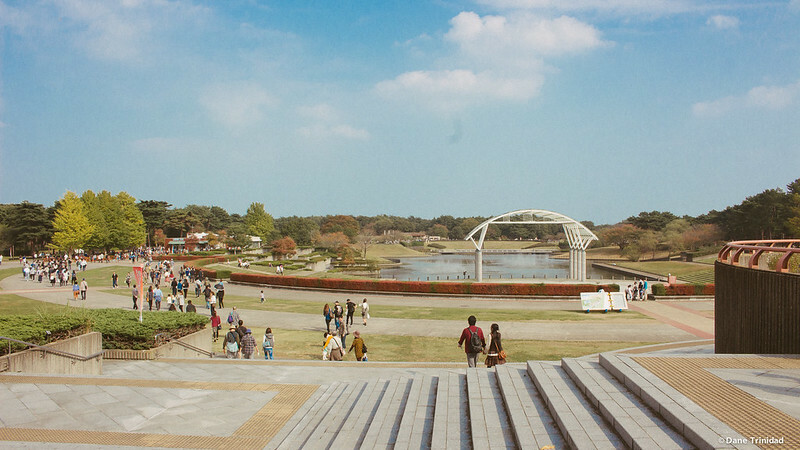 Hiroshima & Nagasaki – I haven’t visited these prefectures yet ( since I’m not a big fan of history), but if you are interested to see how it looks like and learn more about the dark and painful history, then 1-2 days visit in this area might be worth it. What are the Japan Passes to choose from? There are lots of Japan tourist passes to choose from, and all of them offer various pros and cons. For a really comprehensive guide, you could refer to Japan Guide.com ‘s post. I have 3 personal favorites. JR Tokyo Wide Pass– allows you to have unlimited 3 consecutive calendar days travel on JR and selected non-JR lines in Kanto region, and costs 10,000 ¥. 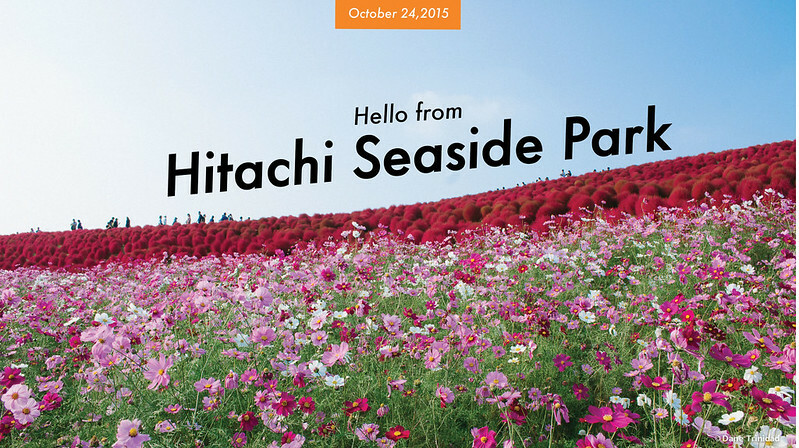 I availed this pass several times on my past visits in Japan since it is super worth it. I usually use it for traveling either from or to the Narita airport ( 1500 ¥, one way), Shibuya/Shinjuku to Ibaraki ( 8000++ ¥ roundtrip), Tachikawa -where you can see Showa Kinen Park, Ghibli museum, etc. ( 3000++ ¥ roundtrip), and Kawaguchiko daytrip (8000++ ¥ roundtrip). You can definitely save tons of money with this pass if you are visiting nearby areas from Tokyo! You can buy it from JR offices (in the airport, or main stations) upon arrival. JR Kansai Area pass -allows you to have unlimited travel on local and rapid (kaisoku) JR trains in the region around Osaka, Kyoto, Nara, Kobe and Himeji. Cost for 1,2,3,4 days is 2200¥, 4300¥, 5300¥, 6300¥ respectively. This is perfect if you are traveling within Kansai area since JR has good connection with each of the prefectures mentioned. Japan Rail Pass– the most coveted pass in Japan, JR (Japan Rail) pass can only be worth it if you would use it extensively (the cost is as follows: 7-day JR Pass- 29,110¥ , 14-day JR pass, 46,390¥ , and 21-day JR Pass-59,350¥). One example is in case you will arrive and depart from the same airport and you would need a roundtrip shinkansen ride- in that case you could already get a rightful value out of it (i.e. Tokyo-Osaka roundtrip shinkansen trip’s regular price is around 30,000¥). How much budget should I allocate? While this is a tricky question, I’ll try to give an average budget yet comfortable living costs based from my several trips in Japan below. In total, you need to allot around 3500¥ per day. Ichiran Ramen– a famous Ramen chain in Japan and has a lot of branches in Dotonbori, Shibuya, etc. You can read my Osaka food guide for the out of the universe experience. Pablo Cheesecake– this cheesecake store always has a long line and already has a branch in Philippines, but the one sold in Japan stores is still the best because of its newly baked freshness! Sushi– of course, for the real experience, you can eat Sushi from Tsukiji market, or even in Hokkaido- but to be honest it’s really good nearly anywhere in Japan. Yoshinoya Beef Bowl– you might wonder why I love this simple fastfood staple, but Yoshinoya in Japan is just different from the non- Japan branches! Try it to prove it! For sure, there must be a reason why the locals will queue to this place for breakfast or lunch aside from the cost right? Takoyaki – my 2 favorite takoyaki shops are (1) the one beside the ferris wheel in Namba/Dotonbori, and (2) Gindaco in Harajuku. Coco Ichibanya– similarly, this place already has a branch in Philippines, but the original one in Japan for me is still better. Japanese shabu shabu– my favorite is Nabezo Shabu-shabu in Shibuya! 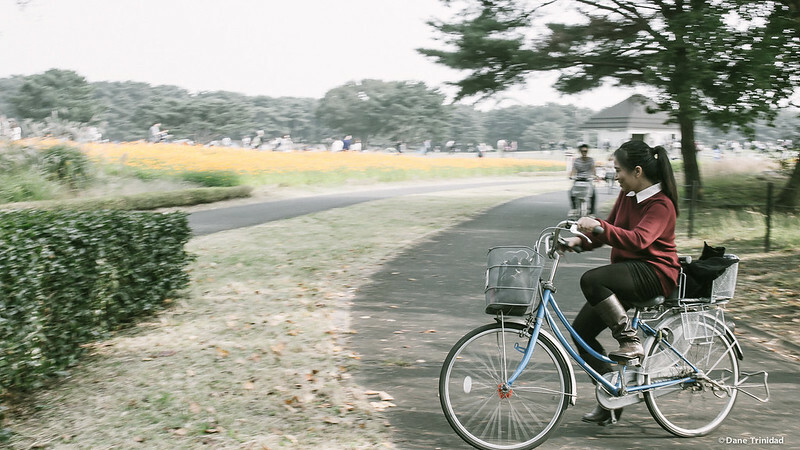 Are you doubtful or traveling in Japan because you’re afraid of getting lost? 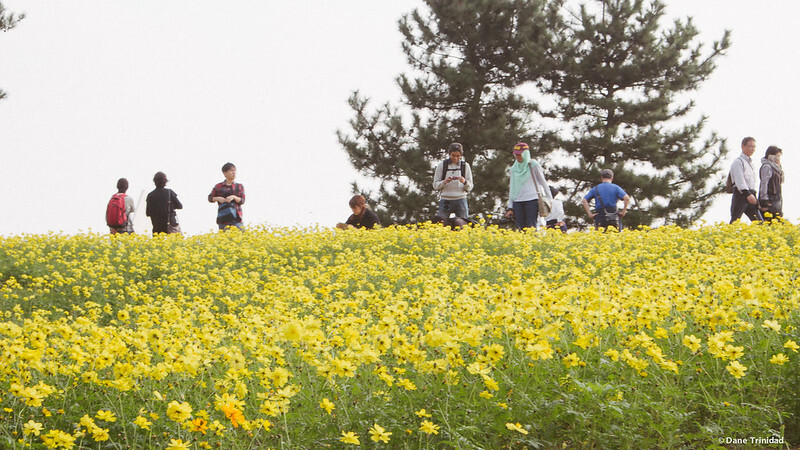 You shouldn’t worry because Japan is tourist friendly ( yes,more than Europe!). 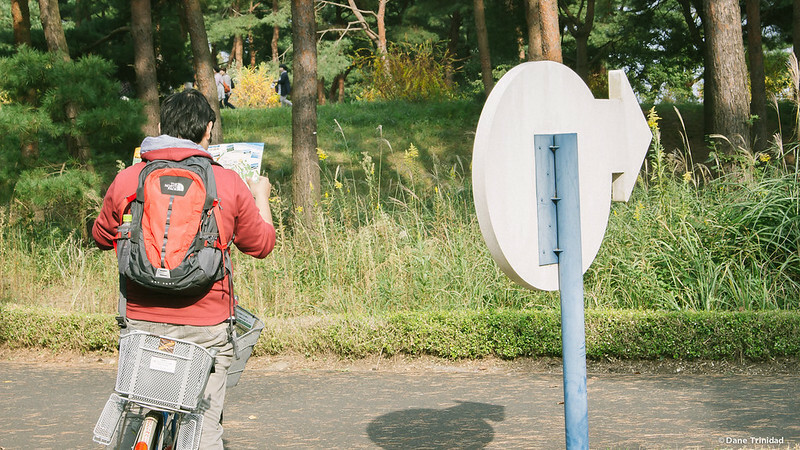 You can find English translations in the famous tourist spots to help you navigate your way around the area. The train system of Japan is really organized and quite easy to learn once you get used to it as well. For starters, my go-to website and/or mobile for train travel is Hyperdia.com. Simply enter your from and to destinations and it will show you the time, cost, and needed transfers! There are so-called IC Cards in Japan- these are rechargeable cards that can be used to conveniently pay for trains/buses and even vending machines, shops, and restaurants. For Tokyo, you can use either Suica or Pasmo, while you can use Icoca for Osaka/Kyoto/Nara. You can read Japan Guide’s detailed review about this topic. A single trip roughly costs 160¥. As discussed earlier, I highly advise for you to utilize the various Japan passes so you can tour Japan easily and reach the great destinations outside the city. Since we’ve covered the key information that you need for your budget trip to Japan, I’m sharing sample itineraries that you can mix and match depending on your travel details. If you want a very detailed itinerary, I posted 2 previously, so feel free to read through it (1) 10-day Japan Budget Itinerary: Tokyo-Osaka-Nikko-Kyoto [click here], and (2) 4-day Budget travel itinerary in Osaka and Kyoto for $260+ [click here] . Meiji Shrine and Harajuku Takeshita-Dori street [JR Harajuku station], read my bog post here. 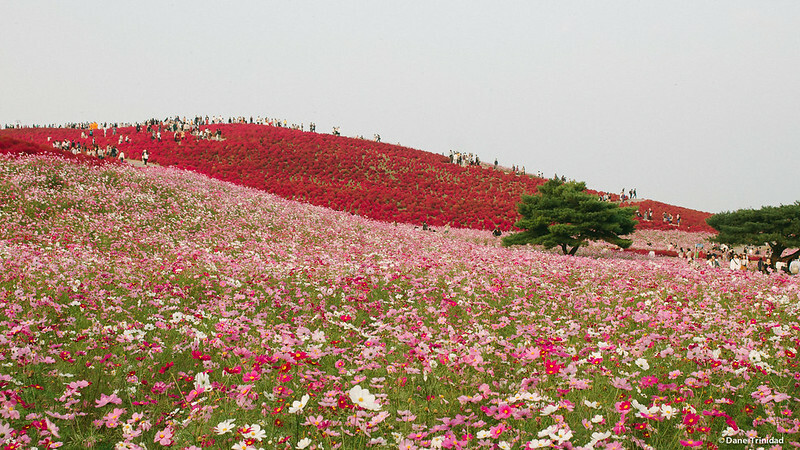 Hitachi Seaside Park [ JR Katsuta station]-this is listed as one of the most surreal places in the earth! 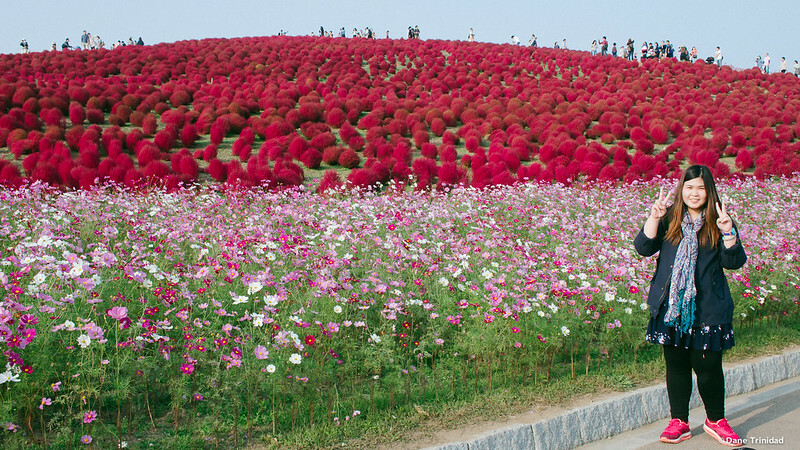 You can see a hill full of red kochia during Autumn, and blue nemophilia during Spring! Read blog post about my visit here. Fujiko (aka Doraemon) museum [JR Noborito station] – for fanatics of Doraemon, you should visit this place, read my blog here! Nikko [Tobu Nikko station] – perfect destination during Autumn because of its foliage! Don’t forget to visit Lake Chuzenji and Kegon falls. You can read my blog post about it here. And that’s it! I hope I was able to help you for your upcoming trip to Japan! If you have any questions, feel free to comment below so I can answer it.